This place ain't big enough for stars and stripes. Yes was in a downward spiral in the late 80's- no-one can deny that. Drastic sound changes were starting to shake the band's ideals, and the lineup was practically broken compared to when the band started. Jon Anderson, Yes' proclaimed golden boy, was fed-up of the boundaries of pop-music presented by the eighties, and thrived to create some prog solo work reminiscent of the band's old days. However as these ideas began to take birth so did it's scope. Old Yes members eagerly started jumping on board, those being Bill Bruford, Rick Wakeman, and Steve Howe, as well as King Crimson's Tony Levin. 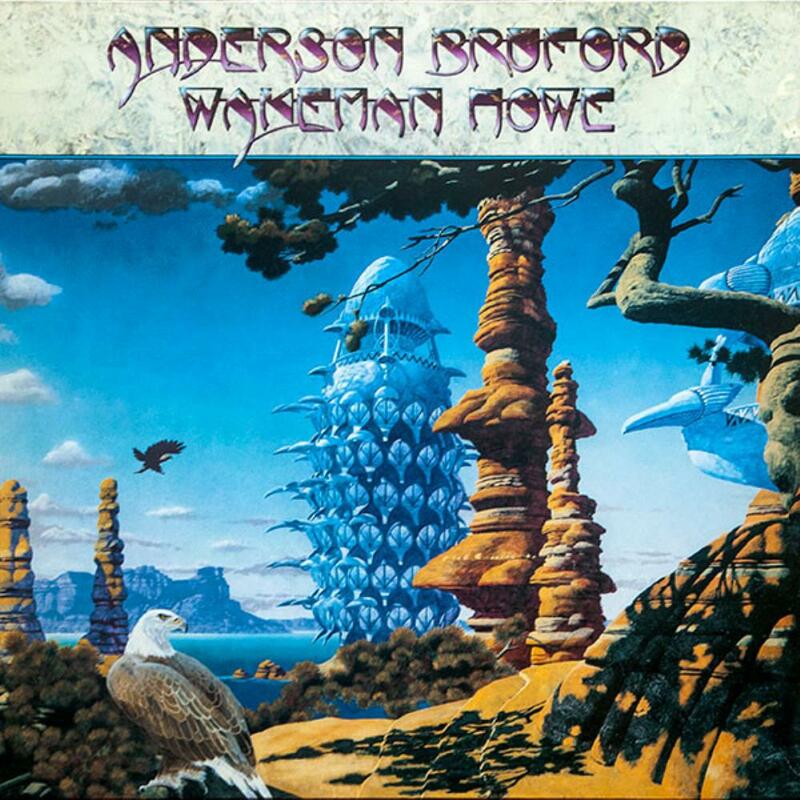 The new-old mostly Yes amalgamate renamed themselves cleverly to "Anderson Bruford Wakeman Howe" and released their debut in 1989. The structure of the songs on the album are what you'd consider to be progressive- multi-sectioned neo-classical rock epics that prog musicians are so fond of. Whilst these tended to be rather good in classic Yes days, they sort of fall short here. For the most part. Remember this was not two years after Yes' Big Generator, arguably their most pop-indulgent album to date, so there's still much of a trace left over. The most musically infuriating part of this era for me was doubtlessly the keyboards, where it was always a decision to either use these dinky electro-pop keyboards or over-the-top pseudo-epic synthesizers. Even the legendary Wakeman's keyboards sound horrendous here, except of course for the Genesis-like 'Birthright', which gives me the idea that I think Wakeman could take a lesson here or there how to do good pop keyboards from Tony Banks. Bill Bruford, outstanding on the skins, is reduced to using heavily programmed drums that sound nigh insincere. Levin is practically nonexistent for the majority of the album, but Howe and Anderson are the two that sort of remain consistent even if they are bleating out cheesy music. The band's cohesiveness is palpable but it doesn't have a trace of the overwhelming sophistication or supreme talent I know they've displayed. The styles bounce all over the place, from slightly subtle prog to annoying Latin-infused songs. 'Teakbois' is nothing short of an auditory insult, awfully reminiscent of Genesis' 'Illegal Alien' in 1983. But I digress. Let's take a look at where the album shines. The aforementioned 'Birthright' is quite a creative piece and is rather rich lyrically. Has great and powerful drumming from Bruford to, for a moment abandoning the terrible robotic drums. Unfortunately the longer 9-10 minute epics can't really stay away from the 80's cheese pop style for very long, that is except for the extremely awesome 'Brother of Mine'. Other than that, the "bad" songs are pretty innocent. They aren't offensive for the most part and are I suppose enjoyable to an adjusted ear. My rating would be higher if ABWH dropped some of the typical eighties pop style for the album they wanted to be containing less of. Like Anderson I yearned for something different from pop-rock Yes, but unfortunately ABWH just doesn't deliver that very well.